As Isabella gets older the more she wants to be part of everything we do, while gaining independence and learning new skills. A recent new level of 'growing up' has been Isabella wanting to sit with us at the dinner table, instead of being in the highchair. The tray on the highchair means that Isabella isn't sat up against the table and she is now aware of the difference between her chair and the chairs we sit on. These toddler's are far too observant! If Isabella was having a snack she started to sit on a chair at the table, but this wasn't ideal and needed full adult supervision. She can't get on and off the chairs on her own safely, we have hard tiles on the kitchen floor, she's too short to properly reach the table and there is nothing stopping her falling off either side. 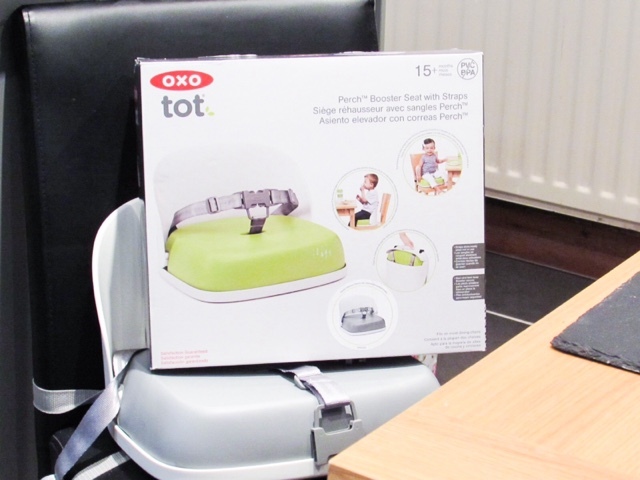 All in all not worth the risk in my eyes, which is where the Oxo Tot Perch Booster Seat with Straps* (£40) has been just what was needed. 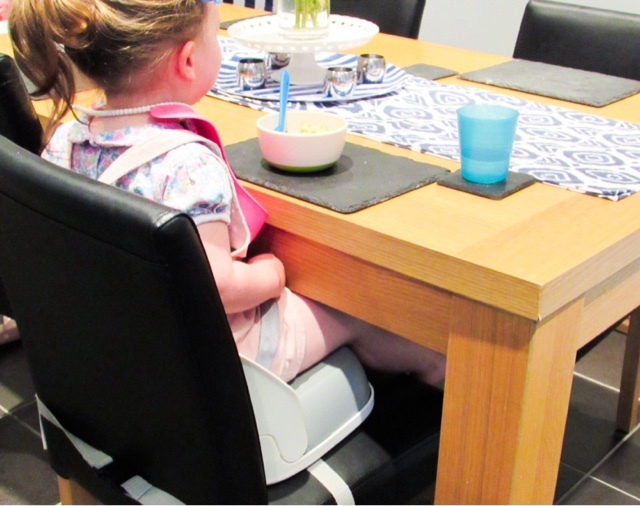 In short it allows toddler's to have that sense of being involved at the family dinner table, whilst keeping them safe and at the correct height. 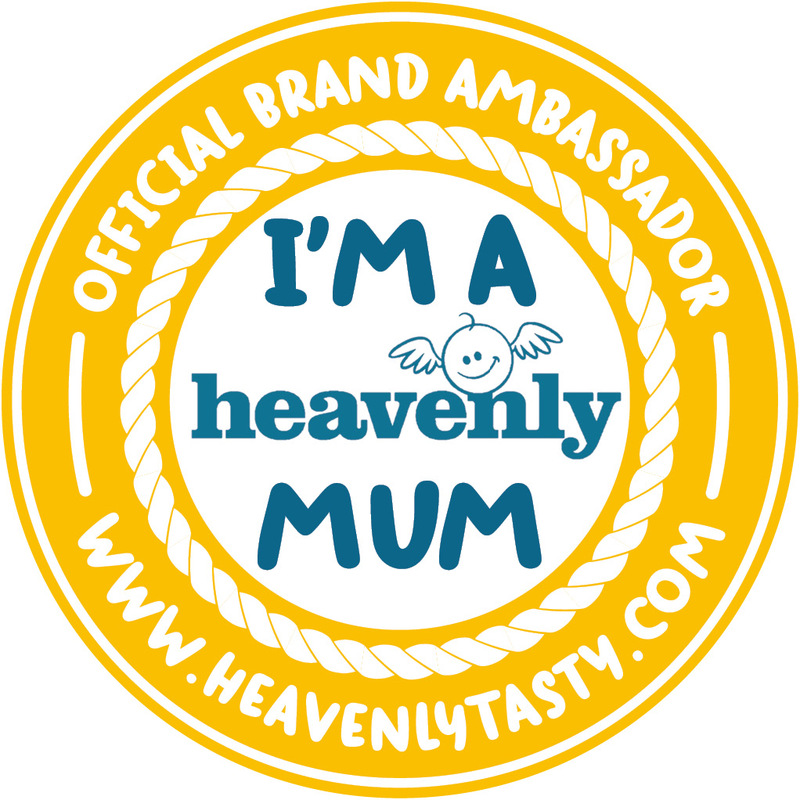 It is designed for children between 15 months and 3 years plus, allowing them to reach the table and eat/craft/bake/paint/draw there safely. 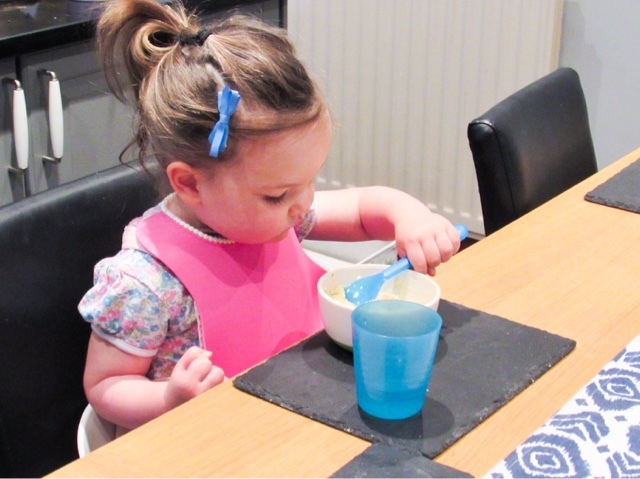 Isabella has loved being able to not only eat meals with us, but also sit at the 'big girl table' (as she calls it) to do drawing or play-doh whilst I cook dinner, unpack the dishwasher or complete one of the other more mundane kitchen activities. She's entertained, sitting safely and it gives her a sense of being important, which has been even more important since the arrival of her little sister. Compact making it ideal for meals out/holidays/visiting family etc. 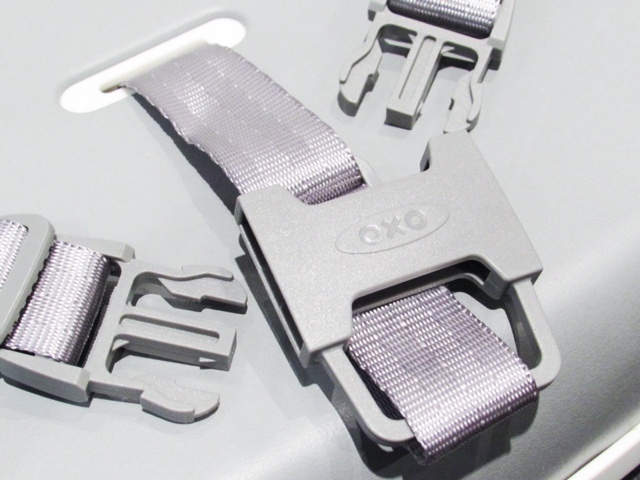 The design is sturdy, stylish and outstanding quality, as with all Oxo Tot products. 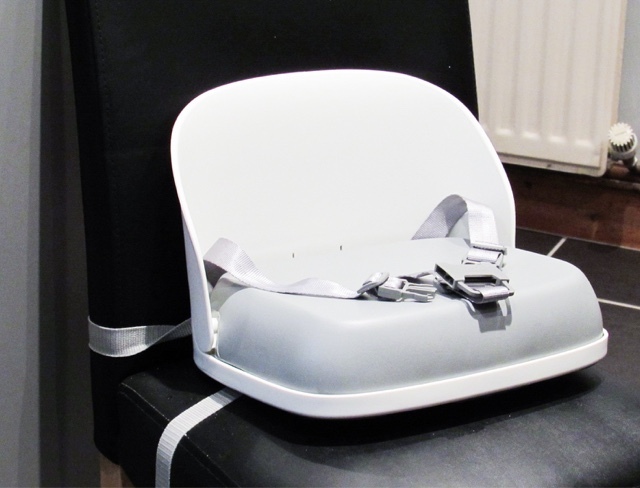 The Perch Booster Seat has become an essential both at home and when we're visiting family, friends or going away. The sense of being grown up Isabella gets from using the seat has helped her adapt to becoming a big sister because (though I can't believe it) she isn't the baby of the family anymore! 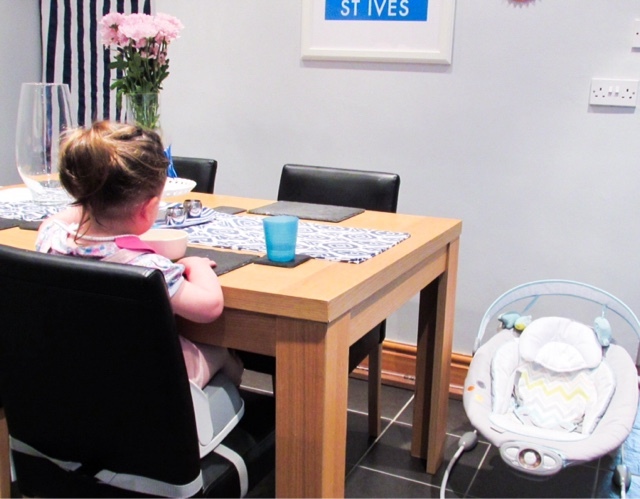 Did/does your little one enjoy sitting at the kitchen table? 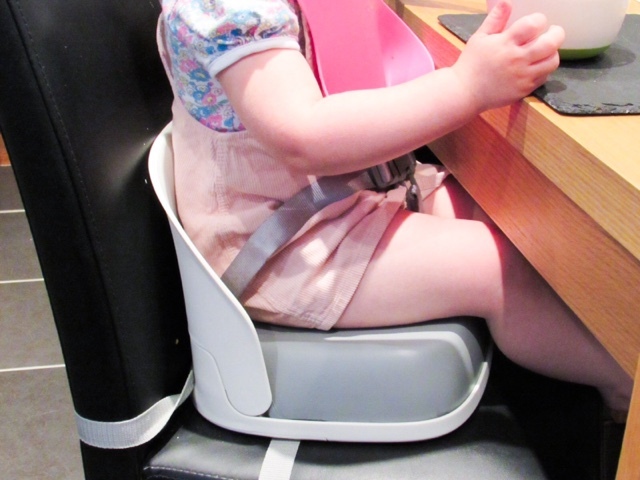 This is such a nice idea for a child, more grown up rather than a high chair ! We have one of these and I love it. 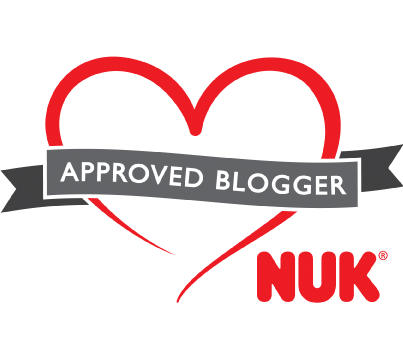 Its so nice for everyone to be able to sit at the table together and eat rather than our youngest sitting a mile back from the table in a high chair. 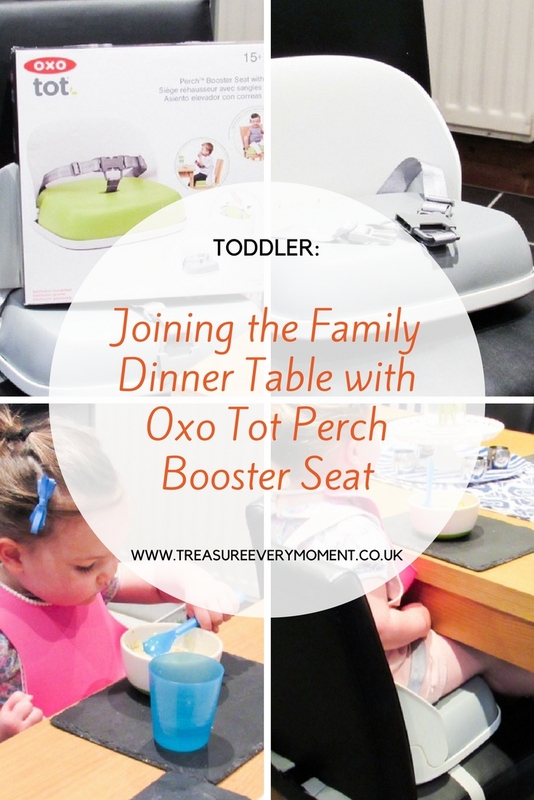 Ahhh I bet she feels like such a big girl it's so fab when they transition to a booster seat and this Oxo Tot one looks so well designed just like all their products! Wow. 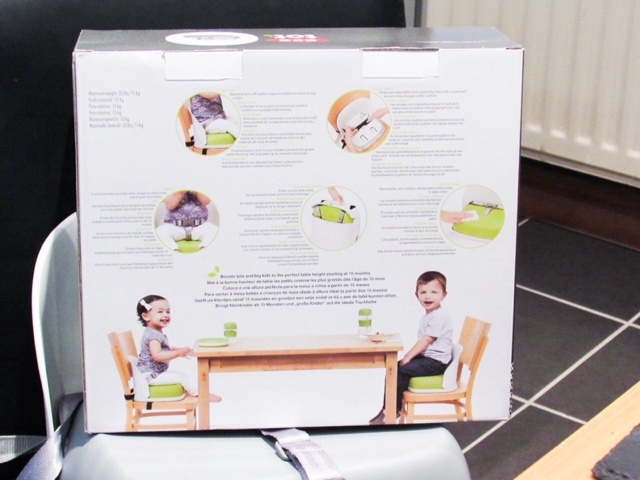 This chair for toddler is awesome and I hope that it will help us to make our children part of the dining table to eat their lunch, dinner or breakfast with us. Booster seats are such a great idea. Before he was 2 BattleKid decided he wanted to sit at the table with us rather than in his high chair so we bought one too. 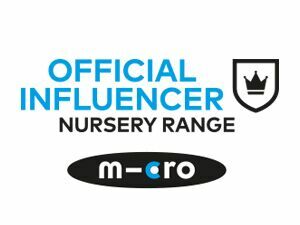 We had a Fisher Price booster seat and it was fab. 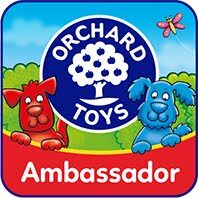 These are brilliant, I had one for my son and he loved sitting up at the table with us. These little seats are fab! This one from oxo sounds great. We hsd one that clipped to the table, it's fab for getting them to sit at the table and not have it towering over them. I like the look of this seat. I think my kids need theirs. We got booster seats to fit on dining chairs when Anya needed the highchair but Matthew couldn't reach the table with the chair alone. I'm looking forward to Zach not needing a massive chair and tray! Oxo, honestly always get it right. Loving this great designed booster seat for the kids. What a lovely booster seat!! She looks so grown up at the table. I am so not ready for Pickle to be at the table like this yet...! Ha ha. Great product though. I love these booster type seats. We have a fold up fabric based one which it good.